The peanut butter and jelly combination isn't really a thing in Australia - but it's something my sister always wanted to make happen. We were really lucky to have travelled to the US as kids and it was there that Katrina got hooked on PB&J - all thanks to a PB&J pizza at Goofy's Kitchen in the Disneyland resort. I couldn't be convinced to try the seemingly odd combination for quite some time - but once I finally did? I was HOOKED. 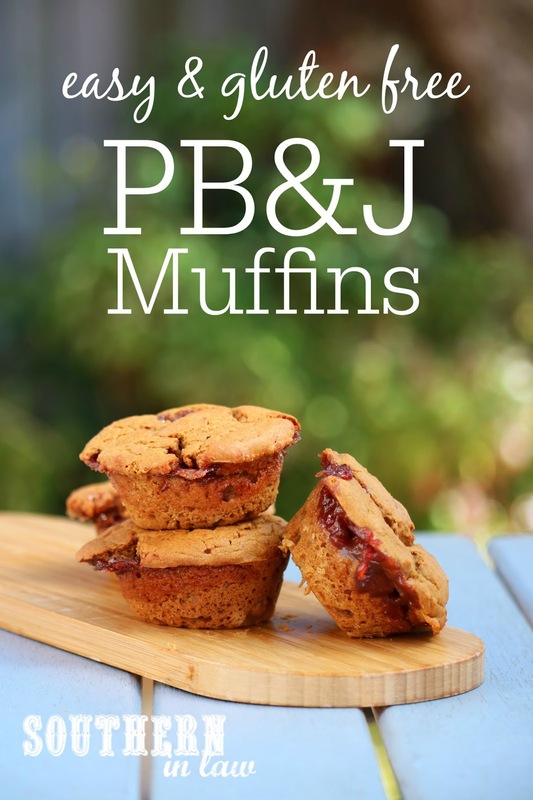 Salty, sweet and oh so delicious - and these muffins are an even more delicious reinvention of that classic combo. It's a little bit sticky, a little bit messy but a whole lot delicious.... so much so that each batch just seems to disappear before our eyes! 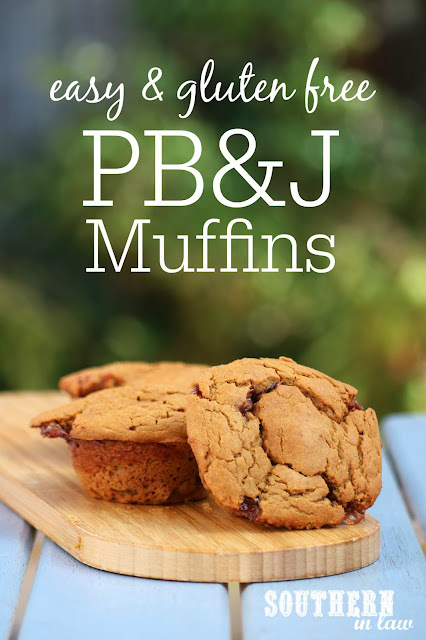 You would never guess that these muffins were gluten free or refined sugar free - and they'll be a hit with the whole family. Sure they're a little bit ugly and the jam oozing out is a little messy for a neat freak perfectionist like me - but just one bite will make you forget ALL about that! clean eating friendly, healthier and with a vegan option! Grease or line a muffin tin with paper lines and set aside (I usually just grease mine as you don't have to worry about the batter overflowing!). Mix your peanut flour with 5-6 tbsp of water - just as much as needed to make a smooth, peanut butter-like texture. Melt your butter and mix with your peanut butter. 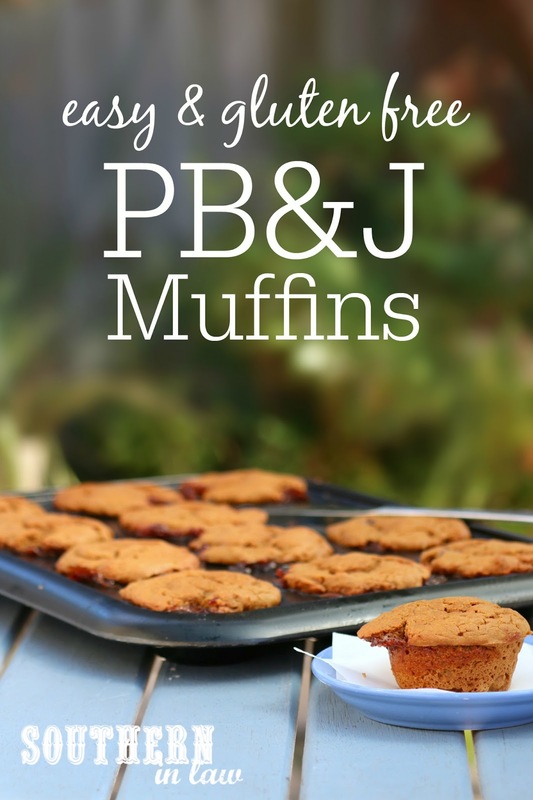 Add this to your peanut flour with your applesauce, egg and sugar. Mix your wet ingredients until combined and sift in your flour, baking powder and baking soda. Gradually add in your milk, stirring to combine. 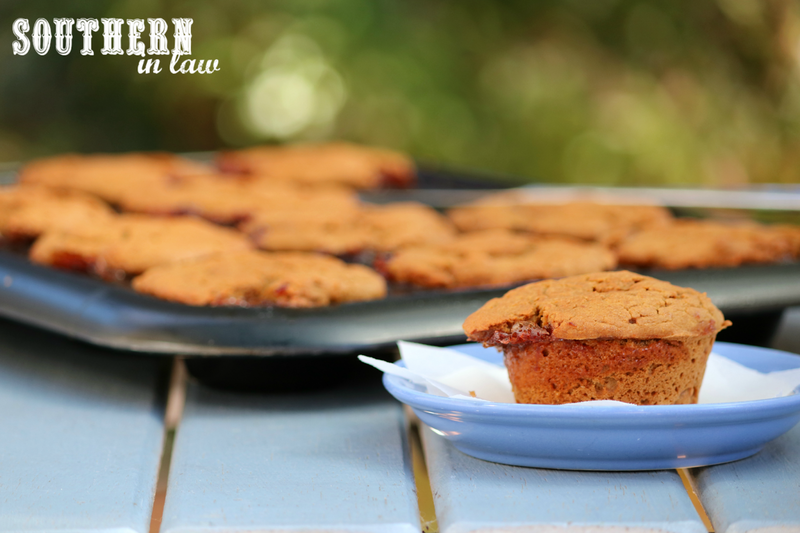 Fill each muffin well about 1/3 full and add a teaspoon of jam on top of each well. Cover your jam with your remaining muffin batter, filling each well almost completely to the top. Note: If you muffin tin doesn't have edges that allow the batter to ooze out a bit, only fill them 3/4 full. Bake your muffins for 20-25 minutes or until cooked through and golden. Allow to cool before removing the muffins from their tins. These muffins will keep for 2-3 days in an airtight container at room temperature and can also be frozen to defrost and enjoy later. But tell me, are you a PB&J fan? What's your favourite kind of jam or jelly?